for the D.F. Stauffer Biscuit Company of York, PA.
D.F. 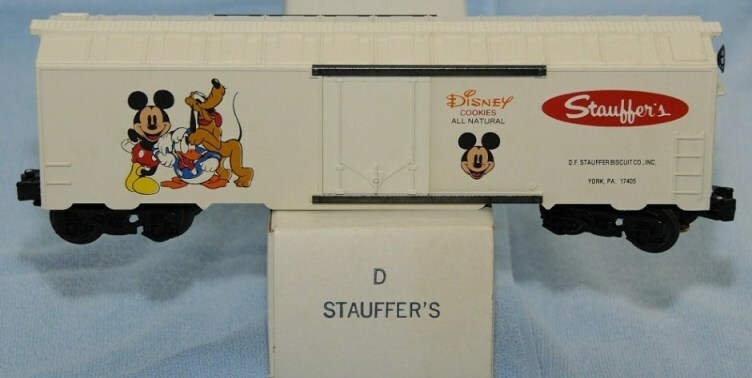 Stauffer Biscuit Company Disney Cookies white doors boxcar. Photo courtesy of the C. Look collection. D.F. Stauffer Biscuit Company Disney Cookies red doors boxcar. D.F. 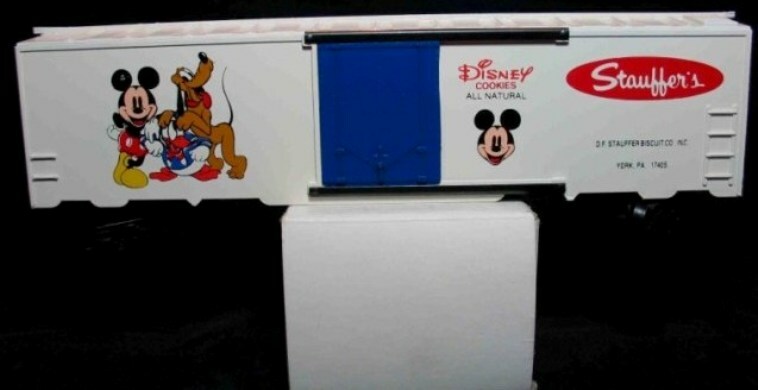 Stauffer Biscuit Company Disney Cookies blue doors boxcar. Photo courtesy of the B. Fetterman collection. D.F. Stauffer Biscuit Company Disney Cookies boxcar - yellow ends, roof and doors. D.F. Stauffer Biscuit Company Disney Cookies boxcar - yellow ends, roof and doors with dimensional data.